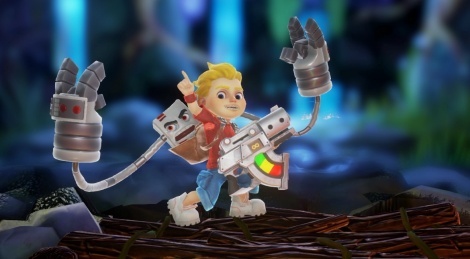 Rad Rodgers will only be released on December 1, but the beginning of the game is already available to all the backers of the project. We have been sent a preview key to try Interceptor Entertainment's title ourselves, so here are 3 1440p videos to see what this action-platformer has to offer. The footage was recorded in the middle of World 1, so you won't see the very first minutes of the adventure. So far, our experience with the game has been very pleasant and smooth, so we are looking forward to seeing more.